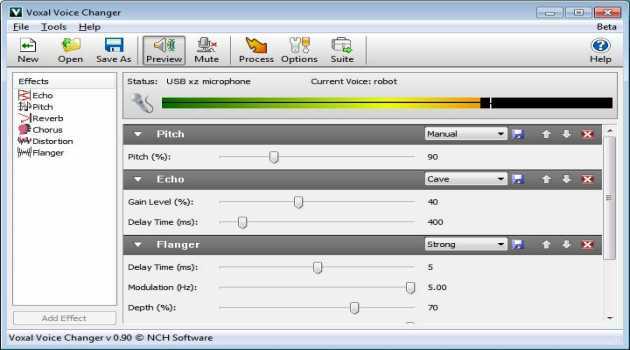 Voxal Plus is voice changer software to edit and effects to both voice recordings and change your voice in real time as you talk into the microphone on you Windows PC. 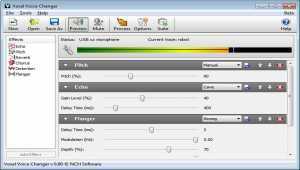 BroadCam Streaming Video Server Free for Windows allows you to host any number of pre-recorded files. 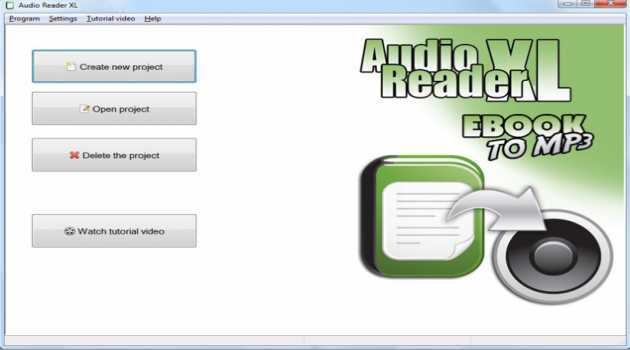 Stream your videos in all popular formats. BroadCam Streaming Video Server can host a webcam or network IP camera. 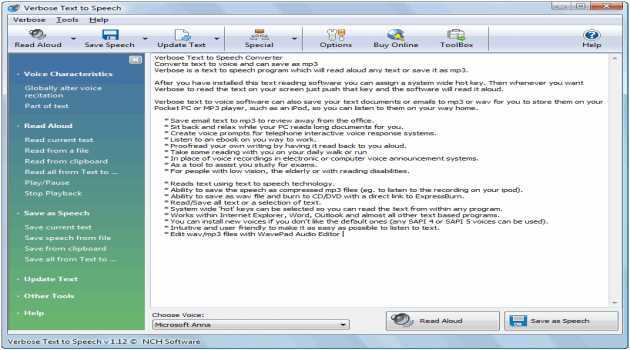 DSpeech is a TTS (Text To Speech) program with ASR (Automatic Speech Recognition) functionality integrated. It is able to to read aloud the written text and choose the sentences to be pronounced upon the vocal answers of the user. Claude is TTS program with support of MSAgent and SSML 1.0. 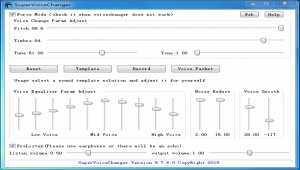 Claude automatically fixes the absence of MSAgent in Windows 7/8/8.1/10 and puts 40 Characters to their default location. Supported formats: HTML, RTF, DOC, DOCX, TXT, XML. 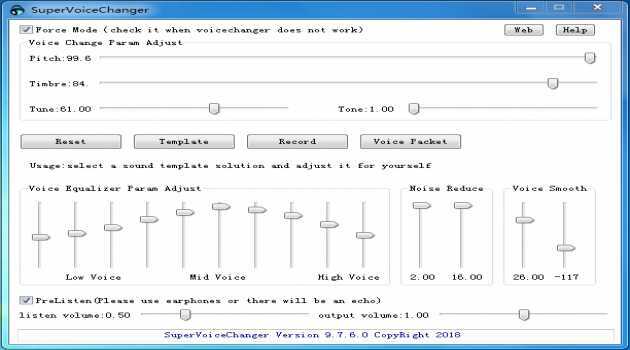 SuperVoiceChanger can change voice in real time to simulate male or female voice without any system settings. 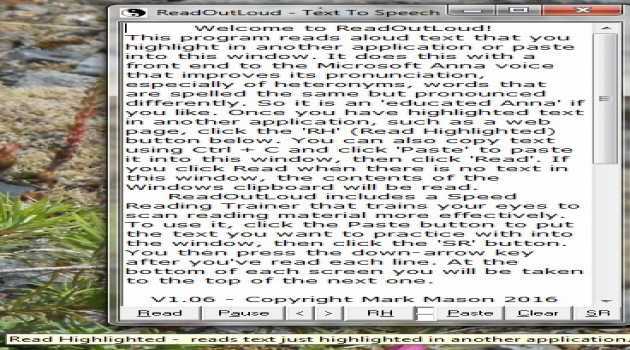 Freeware text to speech reading program to read aloud and listen to text you copy from anywhere, including emails, word processor documents, .pdf files or the internet. 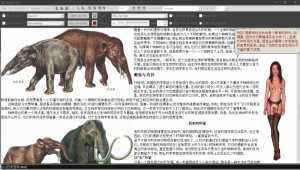 Just highlight the text you want read and click one button to read it aloud.